Custom S&W revolver front and rear sights-LOCKED DUE TO LENGTH - Protocall Design - Brian Enos's Forums... Maku mozo! TOPIC IS NOW LOCKED TO POSTS, BUT WILL REMAIN FOR INFORMATION. 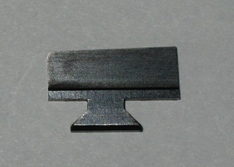 We are selling S&W custom front and rear sights. 2) Sight - All Black or 1mm Fiber Optic (FO). 3) Height - .200", .250", or .300" tall. .200 height - pin-on only. Pictures of sights mounted on a revolver. 2) Quantity - If different options, please be sure to specify each combination of options. We can accept postal money orders, credit card, and PayPal. Payment needs to be sent prior to shipment. 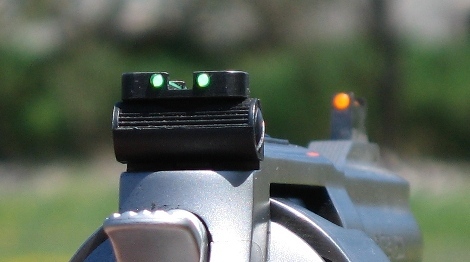 I wonder how much demand there would be for a fiber optic or a good post type sight for fixed sight S&W revolvers. 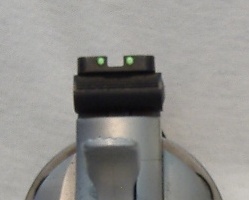 The front sight in my avatar is a cut down SDM. It is about .150" tall. There are a bunch of the newer J-Frames that have a pinned front sight with no good replacement sight on the market that I am aware of. There are some Model 10s showing up at IDPA matches plus the self defense market might be a place for sales. It seems like there is a lot of talk on some of the self defense forums about how to get a good front sight on a J-Frame. 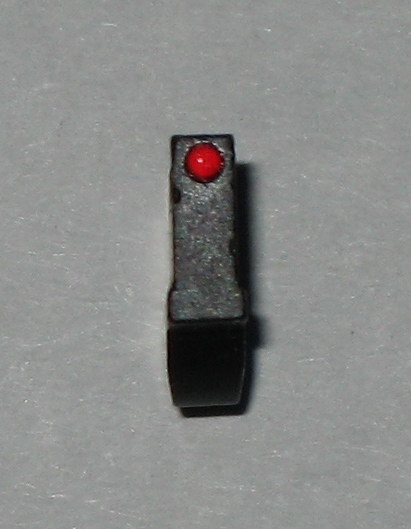 I already make a .112 and .150 fiber optic front pin-on for Cylinder and Slide. You can buy those from them right now. OK, cool. I'll check them out. I'm not sure many people know that. Thanks. I just went to the C&S web site and couldn't find them. Are they available to the public? Updated original post with pricing. 1) Interest - Ready to order OR just interested. Ready to order. One question, is fiber easy to change out (unlike SDM)? 3) Quantity - If different options, please be sure to specify each combination of options. I'm always interested in something better. I currently use the SDM front sight .250 I believe. Do you have pictures of your sights? How are they mounted? I'd go with Green fiber optic, as skinny as possible. The shorter sight means I don't have to buy such a tall rear sight. Hi Brian- the fibers are very easy to change out. Trim one end to remove, melt both ends to install. AZShooter- I don't have any pics yet. They are either pin-on or classic style clip-on. These are .100 wide instead of the normal .125 wide. Thanks. I don't need one right now but it is nice to know that they are available. I'll bet he could sell a bunch of J-Frame sights if people knew they were available. PM me an address and the MO will be in the mail. 2) Sight - 1mm Fiber Optic. Thanks for the orders, guys keep 'em coming and please get the word out! List in the original post has been updated to reflect all orders to date. The original post has been updated with payment information: as we get closer we'll set a payment due date and start taking payments. Original post updated with 7. Status & also added CDPMatt's order. Also, I need A Bianchi magwell for a single stack 1911 unit too....Put me on your list! Thanks for the order Doug, and everyone else! I'm scrambling to catch up on everything, will have some sights soon. Please advise where to mail payment. I am getting in on this kind of late, any chance of having extra 300 x 100 for S&W classic front sight?